Our customers represent a wide range of industries. 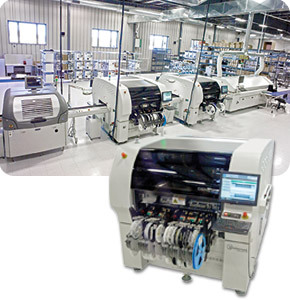 Advanced Manufacturing Technologies (AMT) is a world class, full-service electronic contract manufacturer of next-generation printed circuit board (PCB) and electro-mechanical assemblies. AMT far surpasses the industry norm, demonstrating unparalleled customer service and state of the art processes and equipment.